Homeowners – Don’t Neglect Your Septic System! Most of the time, your septic system quietly burbles away in the backyard, very efficiently turning waste products into nutrients that the earth uses to nourish plant life. 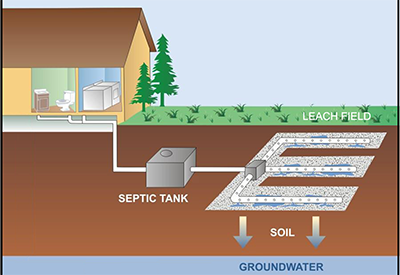 When it’s working correctly, a septic system is a pleasure to own. When it malfunctions, it’s a complete headache. It can make unpleasant odours, unexpected flooding, and render your home’s sinks and toilets inoperable. And it will always act up at the least convenient time – in the middle of the night, or a few minutes before the first guests arrive for your big party. Instead of waiting for a problem to – ahem – arise, practice regular preventive maintenance on your septic system – the grease trap (if you have one), the tank itself, and the weeping tiles in the septic field. In BC’s lower mainland, Edenflo Pump Truck Services is your go-to provider of septic and holding tank service. We’re a family owned business, and we understand the concerns faced by homeowners with septic tanks. We’ve devised a strategy of periodic preventive maintenance that will keep your septic system working as designed without any hiccups. We’ll come and inspect at predetermined intervals, and perform only the work that’s required. If the sludge build up in your septic tank warrants pumping (which all do, in intervals of one to five years or so) we’ll clean it out. 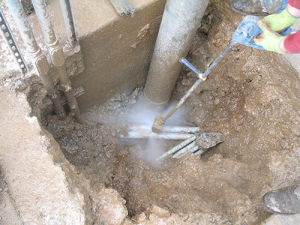 We can use video line inspection to ensure that your main sewer line is clear of obstructions, and we can use hydro flushing to clean any blockages, and even clean your septic field. But we’ll only do what needs to be done to keep your system operating, trouble free. For more information about regular maintenance services offered by Edenflo, and to find out why you need to sign up for the peace of mind this service will give you, call 604-575-1414 or fill out our online request for service. This entry was posted in Septic Tank Maintenance and tagged BC Septic Tank service, how to prevent aging septic systems, residential hydro flushing, residential video line inspection, Septic field cleaning, septic field cleaning vancouver, septic tank maintenance vancouver on April 10, 2015 by Edenflo.